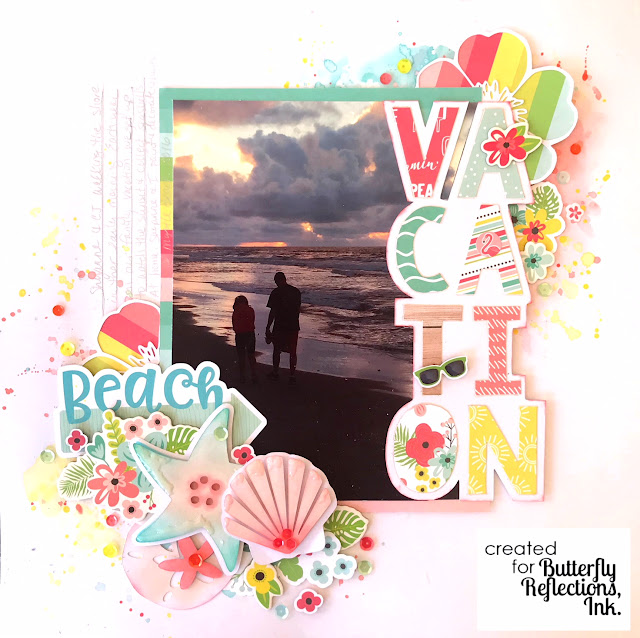 Hey crafty peeps...Heather here to share another beachy summer layout...I used Simple Stories Hello Summer collection again plus some Silhouette cut files and a little mixed media experiments! The picture is of my daughter and husband during one of our sunset shell collection missions on our annual beach vacation....which, at the time this will be posted, I will be on that family vacation in Myrtle Beach...woohoo!! I printed the photo as an 8x10 and trimmed it down to line up with my title and I love the way it looks! 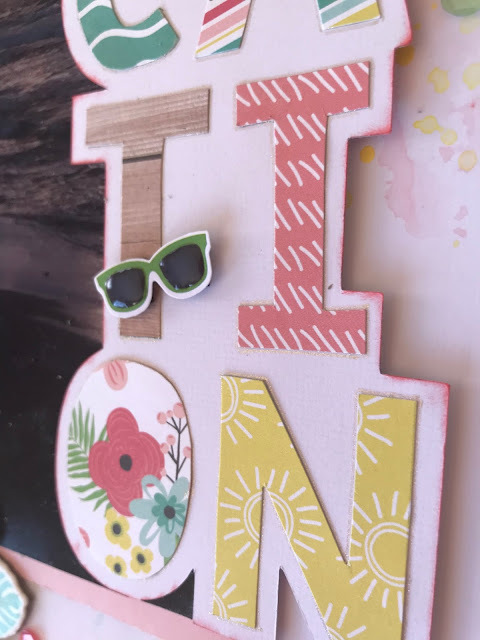 I started with a piece of white cardstock and added a little mixed media mess on the background so it would peek out behind the embellishments and photo...you can't go wrong with Distress Inks! I used Abandoned Coral, Work Lipstick, Peacock feathers, Tattered Rose, Evergreen bough, & Squeezed Lemonade. I tucked stickers from the 6 x 12 chipboard and fussy cut flowers from the 6 x 8 paper pad around my title and photo. The large flower is a cut file that I backed with another patterned paper. My favorite part about this layout are the sea shell cut files that I inked up with the same distress oxide inks I used on the background. They add the perfect touch to the story of this layout. I typically cut images with my silhouette I white cardstock because I know I can alter them to match any paper collection. To add texture and a "watery" look, I applied glossy accents on parts of the sea shells. The "beach" die cut is from Doodlebug Sweet Summer Chit Chat embellishments and it matches perfectly! 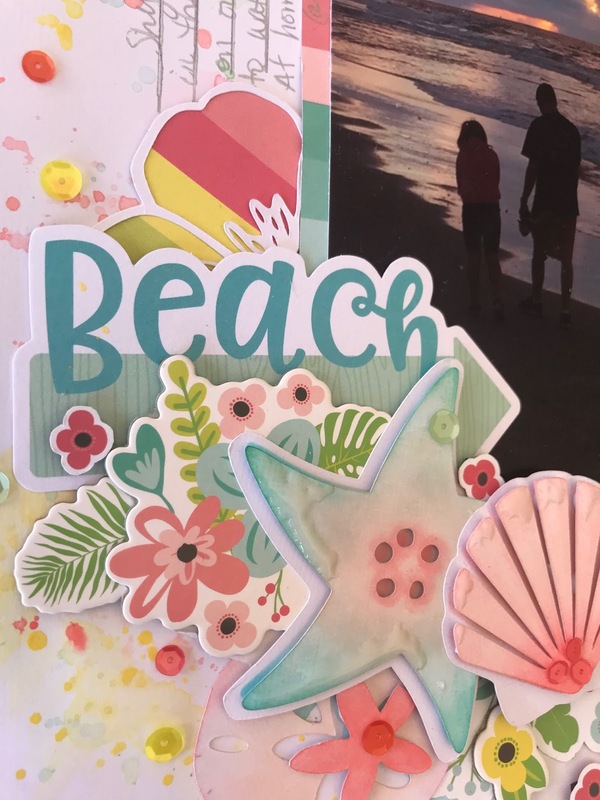 To finish up, I added sequins scattered about the page from Pretty Pink Posh Sweet Mint, Neat & Tangled Sunset Shimmer, Pretty Pink Posh Tutti Fruitti. They add just the perfect amount of sparkle and detail! 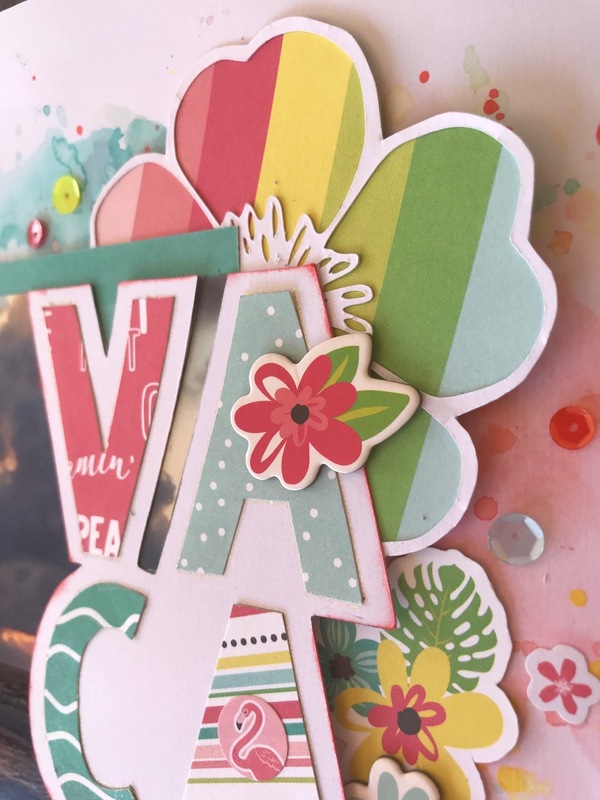 Thanks so much for taking a look and I hope you are inspired to create your own embellishments with white die cuts and distress inks! Head over to the shop to check out all of the Distress Inks and Simple Stories Hello Summer Collection.